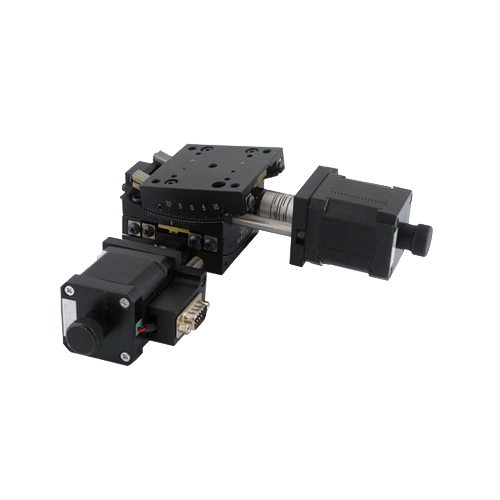 This motorized goniometer stage uses the integrated stepper motor which has combined motor, driver and encoder. 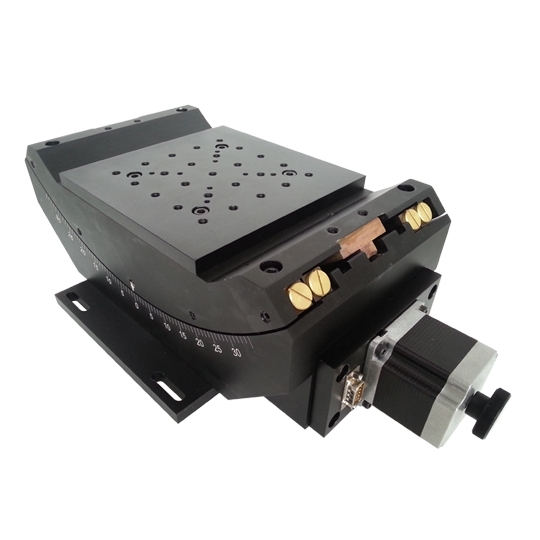 This motorized goniometer stage can be controlled by the computer software directly instead of a stand-alone controller. 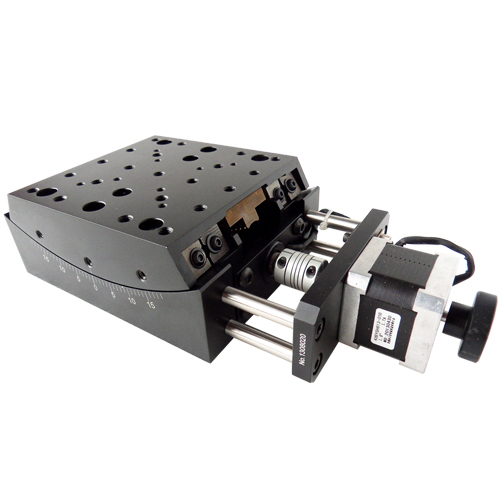 The highest microstep resolution can be set to 51200 steps/rev. The encoder has stall detection and stall prevention functions. 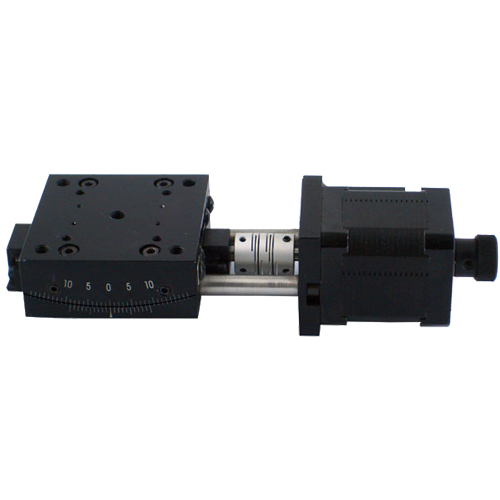 It can prevent the motor stalling and provide position maintenance when the motor is stopper. 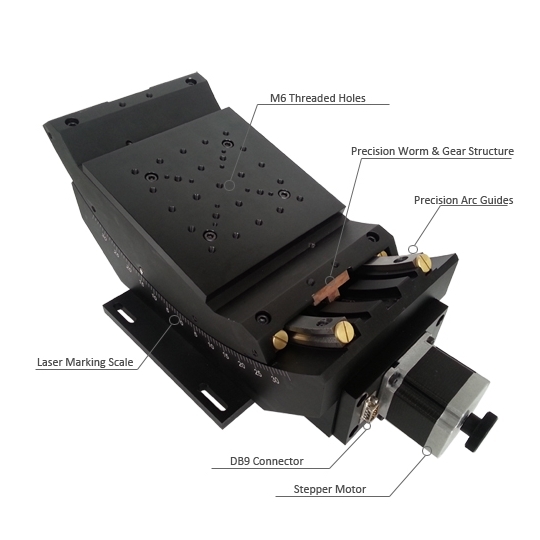 Along with the motorized goniometer stage, we provide a power supply box which has included the power supply inside, all the necessary cables, interface ports and the RS485 to USB convertor. 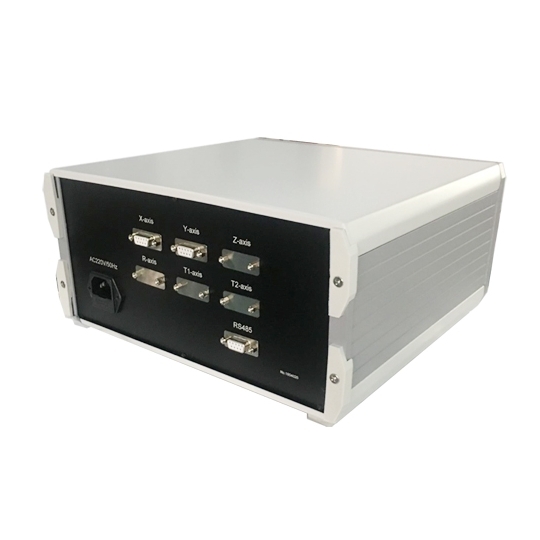 The power supply box needs to be bought separately. 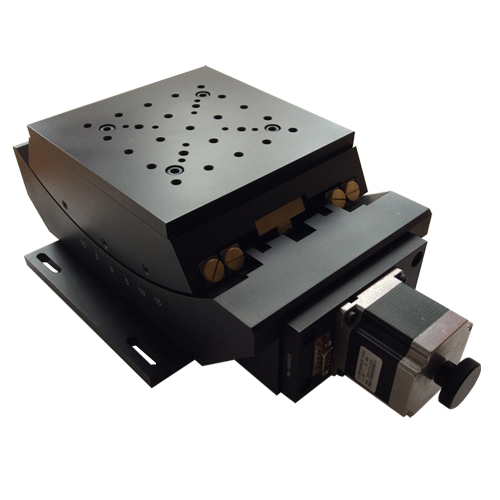 The motorized goniometer stage can be easily controlled by our software or by the serial port commands. 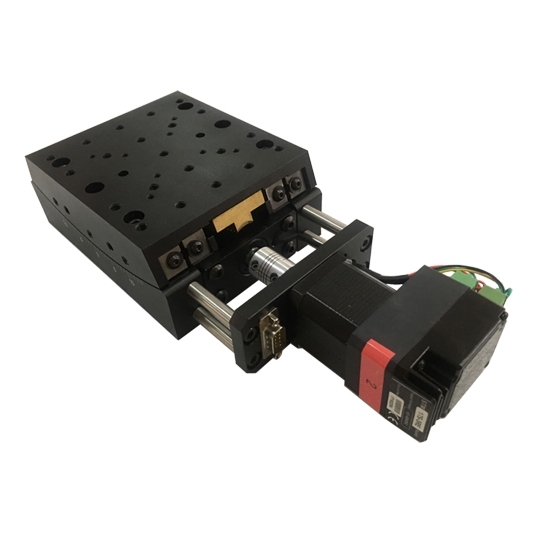 By using the serial port commands, users can easily make own program via LabView or Matlab. 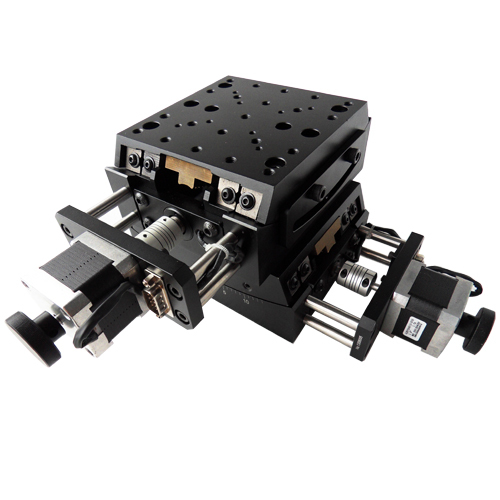 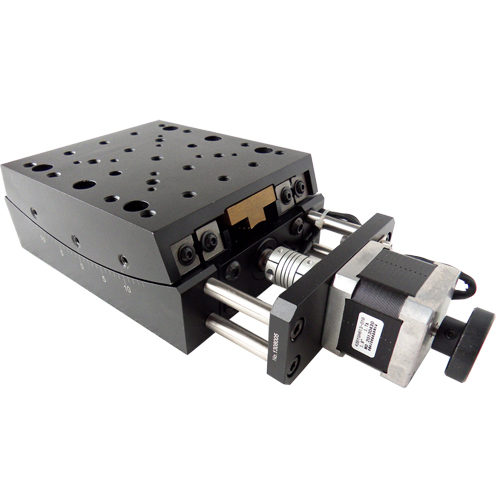 Our motorized goniometer stage is designed so that orthogonal mounting of two adjacent-size cradles (e.g., MOG-120-15-E and MOG-130-10-E) provides two perpendicular rotational axes intersecting at about the same point in space.